The Quality Inn Niagara Falls offers quality accommodations, friendly and efficient service in clean, comfortable surroundings with wireless high-speed internet access in all our rooms. Fashion Outlets of Niagara Falls, USA and Quality Inn are teaming up to offer a special at-par Shop & Stay hotel rate exclusively for Canadian visitors! 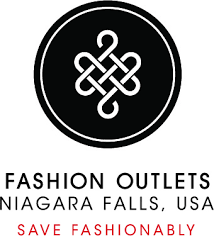 Specifically designed for our Canadian shoppers, guests can enjoy at-par accommodations and shop til they drop at Fashion Outlets of Niagara Falls, USA. This offer only applies to rooms paid for in CASH and is not available for credit card or other payment methods. Contact participating hotel for details. Use our reservation form or call 1-800-508-8981 for details. Disclaimer: Package rate shown in US dollars. Dining Credit valid towards purchase of breakfast entrees at Antonio’s on-site Restaurant. Seneca Niagara Casino voucher is $15 per guest (max 2 guests) Shopping Card valid for savings of 10-15% off at participating Fashion Outlet Stores. © 2019 Quality Inn. All rights reserved. Website Powered By Bodkin Media.